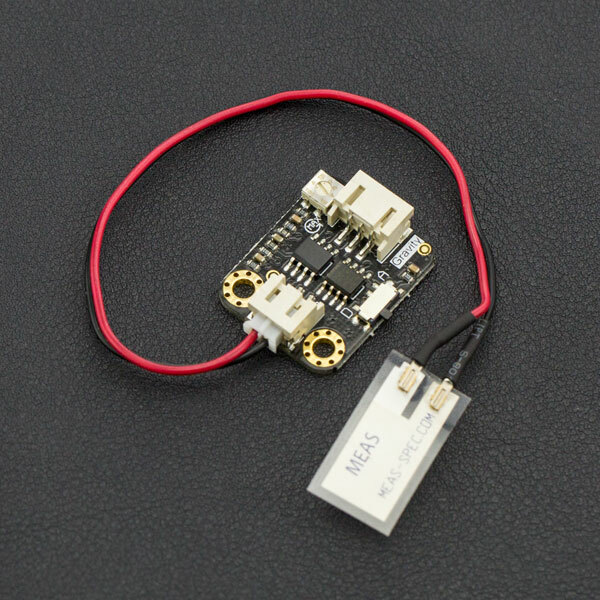 This is an Arduino compatible piezo film vibration sensor. It is made up of flexible piezo film and converter board. The sensor is able to detect vibration, flexibility, impact and touch. The film is a flexible component comprising a 28 µm thick piezoelectric PVDF polymer film with screen-printed Ag-ink electrodes, laminated to a 0.125 mm polyester substrate, and fitted with two crimped contacts. As the piezo film is displaced from the mechanical neutral axis, bending creates very high strain within the piezo polymer and therefore high voltages (about ±90V) are generated. When the assembly is deflected by direct contact, the device acts as a flexible "switch", and the generated output is sufficient to trigger MOSFET or CMOS stages directly. 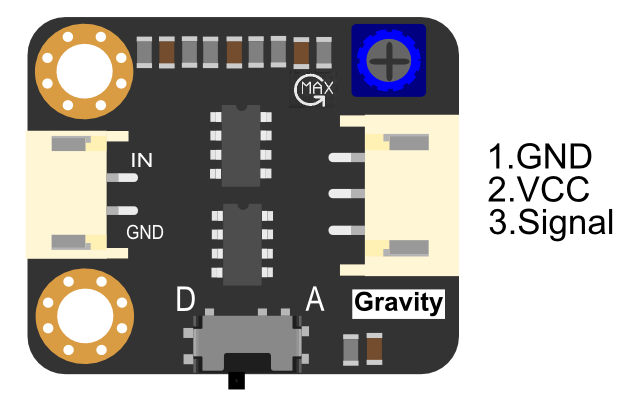 The module uses universal Gravity 3Pin interface, easy plug, plug and play. It comes with Digital/Analog two kinds of output signal, suitable for all kinds of different applications. The piezo vibration sensor is not only able to detect strong shocks, but also to detect slight vibrations. There is an on-board sensitivity adjustment potentiometer, you can adjust it to increase/decrease the output threshold value. Meanwhile, the piezo film sensor has a wide dynamic range (0.001Hz~1000MHz) also guarantees an excellent measuring performance. 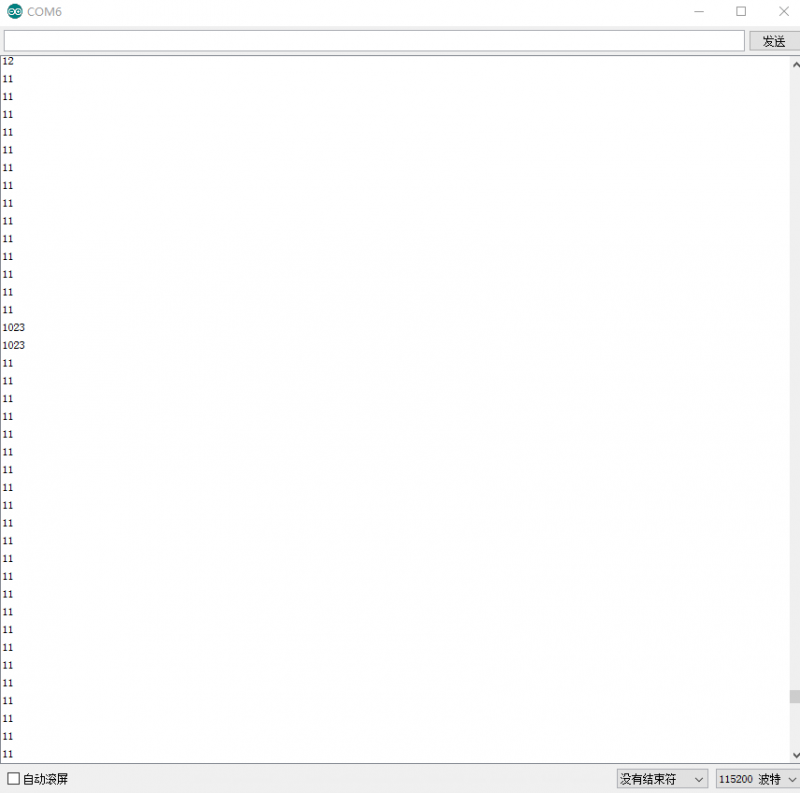 In this tutorial, we'll show you the sensor usage. Watch the serial monitor and LED "L" state. Note: The sensitivity potentiometer control the output threshold. When it rotates towards "MAX" direction, it need more swing to trigger sensor. 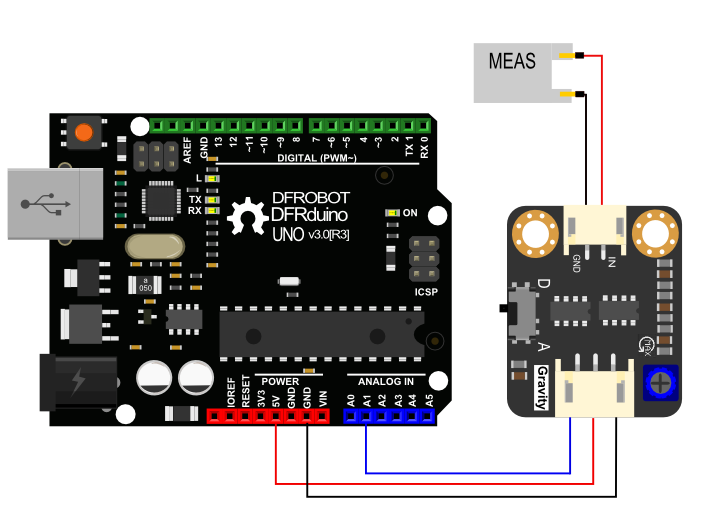 Get Gravity: Flexible Piezo Film Vibration Sensor from DFRobot Store or DFRobot Distributor.